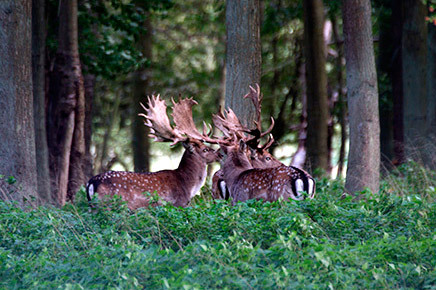 For the serious fallow deer enthusiast this can only be described as the best hunt in the world. 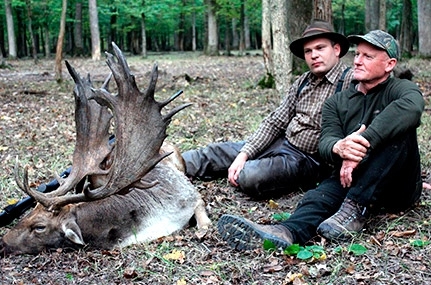 The hunt is conducted during the rut when all the big buck congregate in their rutting stands in the forest of Hungary. 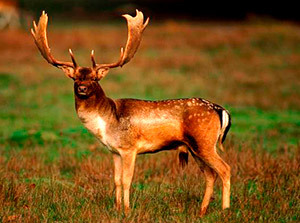 Anyone who knows anything about fallow knows this is the Mecca for this species. 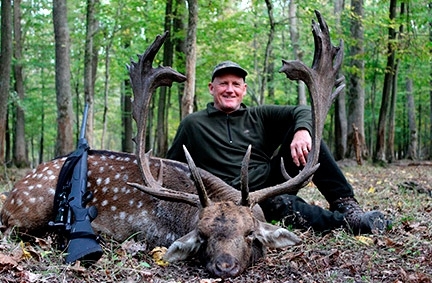 Hungary has been synonymous with record fallow bucks for the last 80 years and indeed today nearly all the record fallow bucks have been taken there. A combination of great genetics and an abundance of feed and minerals as well as years of careful game management are responsible for the production of magnificent trophy bucks each season. Our outfitter who has hunted in all the top trophy producing areas has access to without doubt the best free range hunting in the country. Our hunts offer our clients the chance to take beautiful representative specimens or that once in a lifetime buck you have always dreamed of. You will be staying in comfortable hunting lodges or small country hotels where all meals are provided including drinks (alcohol extra). 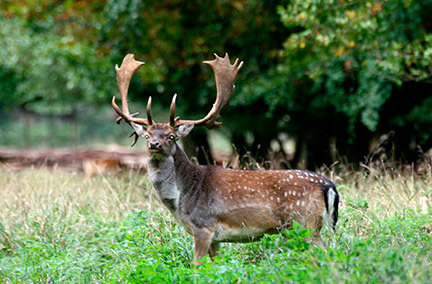 Some lodges are right near the hunt areas and you can actually hear the bucks croaking from your accommodation. You simply fly into Budapest international airport where you will clear your rifle through customs (very simple procedure) and pay a small license fee. Once you come out of customs you will be met by the outfitter and taken by vehicle to the hunting area around 3 hours drive. Budapest is easily accessible through most European cities having daily flights. Once you have cleared customs here you can travel through any other EU country without having to apply for another firearm license. Plan for a normal 3 day hunt, there is no camping out so you won’t need a sleeping bag or any other gear for camping. Comfortable boots, binoculars, cammo hunting clothes, a warm jacket for morning and evening, headlamp or torch, camera and personal gear. You will be doing some bush stalking so emphasis should be placed on silent on “quiet” style hunting attire. All hunting trophies have to be evaluated and recorded by the game department in Hungary and during the rut this can cause a backlog of trophies as is to be expected. If you wish to take your trophies home with you there can be delays and it would be easier to have the trophies shipped unless you have a week or so spare time to travel whilst evaluation takes place. 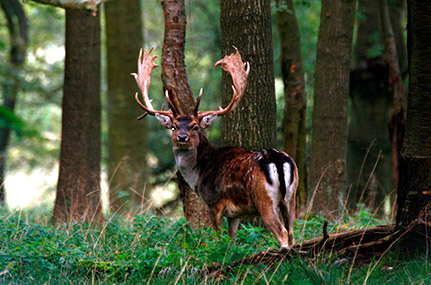 Open season is from October 1st to January 31st but the peak of the rut is the 15th October until the 25th October. I wouldn’t recommend hunting outside this time. PLEASE NOTE DUE TO THE POPULARITY OF THESE HUNTS WE ARE UNABLE TO HOLD A DATE UNTIL THE DEPOSIT OF 1,500 EURO IS PAID IN FULL. A FURTHER 1,500 EURO IS REQUESTED 2 MONTHS PRIOR TO THE HUNT DATE WITH BALANCE PAYABLE UPON ARRIVAL AT THE HUNTING CAMP. Accommodation 4 nights, all meals and drinks (not alcohol), guide and translator, 1 fallow buck to 4 kg, all transport in the hunting area, field preparation of trophies, transport of trophies to taxidermist, trophy evaluation. Transport from airport to hunt area and return 350 euro per group, Firearm import fee for non EU citizen 20 euro each, alcohol, tips to guides (no obligation), mounting of trophies, packing and shipping trophies, Vet and export certificates and accommodation before and after the hunt, rifle hire if required. We strongly recommend you take this option to hire quality rifles from the outfitter, it makes your travels so much easier and at 150 euro pp it’s well worth it. I have hunted in many places around the world but this hunt ranks up the there as one of the best hunts I have ever done. To see hundreds of monster fallow bucks in a rutting frenzy is something I will never forget. This hunt gets 10 out of 10 from me.